Islanders are being given the chance to have their say on the development plans for the derelict holiday camp that has been vacant since 2006. Readers may remember back in 2012 Islanders were invited to take a tour of Harcourt Sands to see what shape the proposed development by ZeroC Holdings might take. 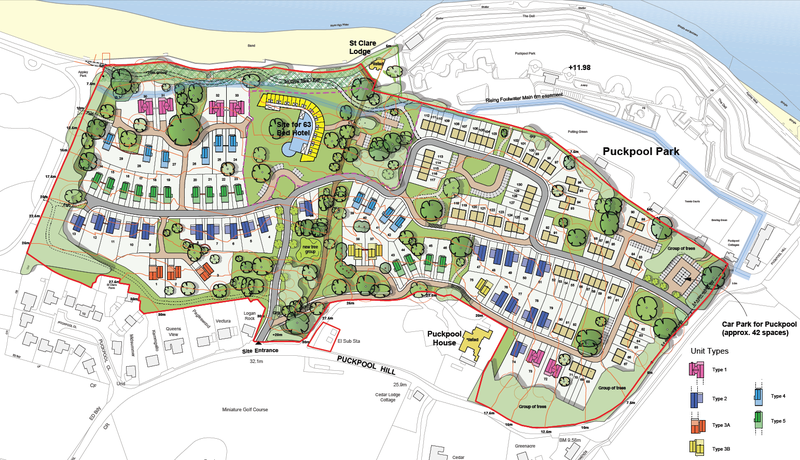 Over two years later the planning application has now been submitted to the Isle of Wight Council and residents have until 3rd October to have their say about the proposed development at Puckpool. 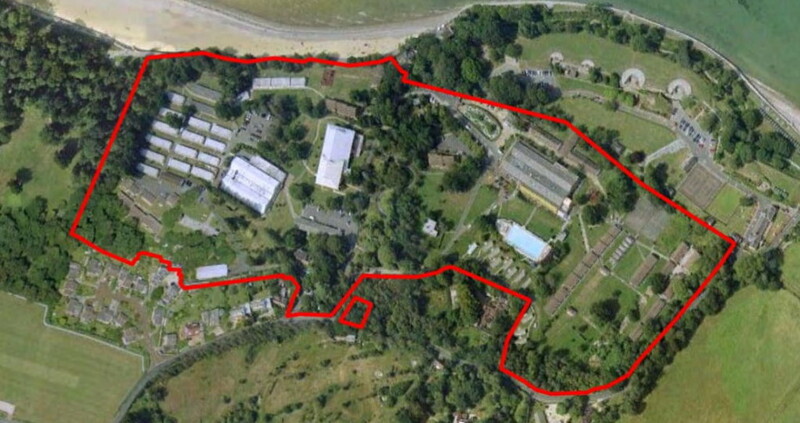 If plans for Harcourt Sands – whose owner, Astana Ltd, is registered in St Helier, Jersey – are approved, the 11.40 hectares will say ‘goodbye’ to the derelict holiday camp and ‘hello’ to a 60 bedroomed hotel, as well as 128 residential dwellings with an additional 100 parking spaces, 128 cycle spaces and car pool provision. Plans for largely two-three storey houses include 20 two bed, 51 three bed and 57 four bed homes. The boundary for the site can be seen in the aerial image below. You can make your comments to the Isle of Wight council via their Planning Website. 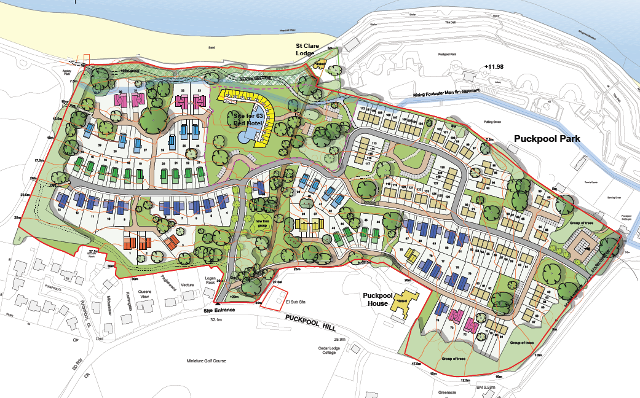 4 Comments on "Planning development details for Harcourt Sands released"
Surely this has to be good news. People need (affordable??) housing & it is a brownfield site. Definitely better than the crumbling ghost of Harcourt Sands holiday camp. Will also give Ryde town a boost to trade. Surely it would be more beneficial to the Island, as a whole – rather than the few, to rebuild a holiday camping site….maybe with caravans and plots to pitch tents and park caravanettes. The cheaper, camping holiday market has been steadily increasing for years. So relieved to see that the site is going to be developed. It obviously couldn’t pay as a holiday camp as there is so much competition and islanders need affordable homes. Would like to know how many are going to be linked to a housing association?